When it comes to our closets, many of us are guilty of filling them with more items than we need. So many, in fact, that getting dressed each morning can be stressful and confusing. After all, when your wardrobe is full of on-trend statement pieces that don’t work together, it can honestly feel like you have nothing to wear. 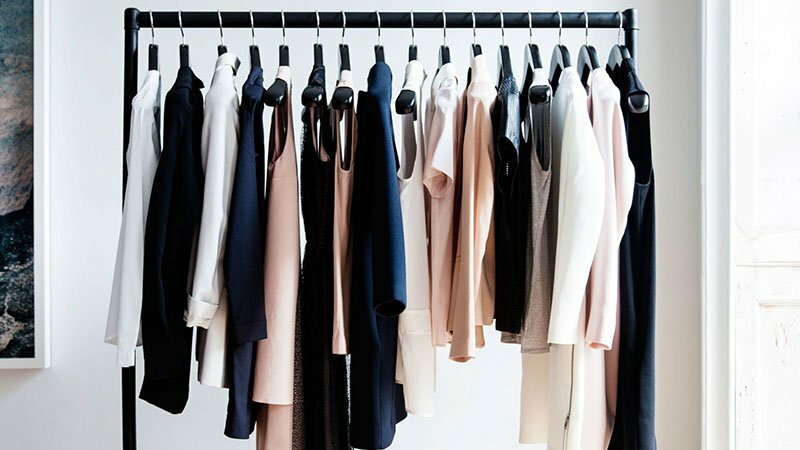 Thankfully, a capsule wardrobe can help save you time while also sorting out your outfit woes. 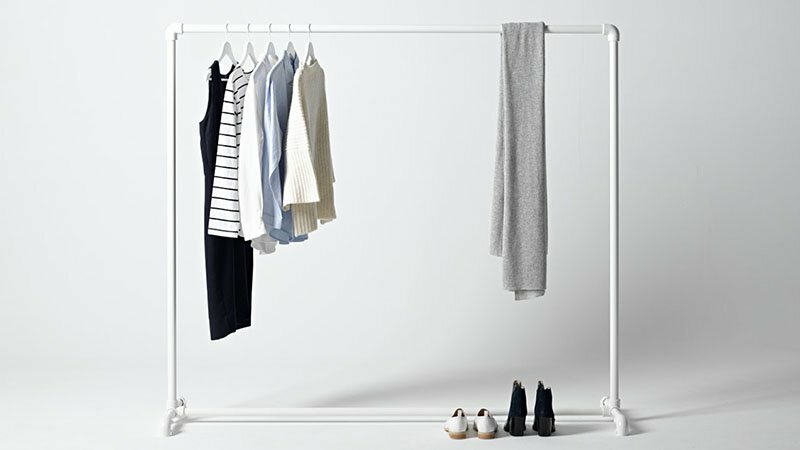 Built on the idea of less quantity and more quality, a capsule wardrobe is a carefully edited selection of clothes that are versatile and pair well. In other words, it’s the curated closet of your dreams. So, if you’re ready to discover the stylish ease of living with a limited number of garments, follow our guide to creating the perfect capsule wardrobe. So, you’ve decided to whittle down your wardrobe to just the essentials. Great! But, before you start clearing your closet of all its excess, it’s important to set goals so you can stay on track. Most importantly, it’s good to have an idea of how many items you will keep in your capsule wardrobe. Although you don’t have to set an exact number, you should try to aim for less than 50. 30 can be an appropriate amount but be sure to do what feels right for you. If you’re too strict on yourself, you may end up viewing your capsule wardrobe with negativity and give back into your old way of life. Before beginning, you should also have an idea of the types of items you want to keep in your wardrobe. Your 30 or so pieces should include tops, bottoms, dresses, outerwear and shoes but not workout clothes, swimsuits, underwear, pyjamas and accessories. When planning your selection, remember that limiting your wardrobe doesn’t have to mean losing your style. So, be sure the garments you intend to keep are the ones that’ll showcase your personality. Essentially, you should be aiming for an edited selection of interchangeable and versatile pieces that capture the essence of your style and can be pulled together quickly for any occasion. Once you have clear goals around your capsule wardrobe, you can begin clearing out items. Although this process can be difficult, try to focus on the positives and enjoy its therapeutic benefits. 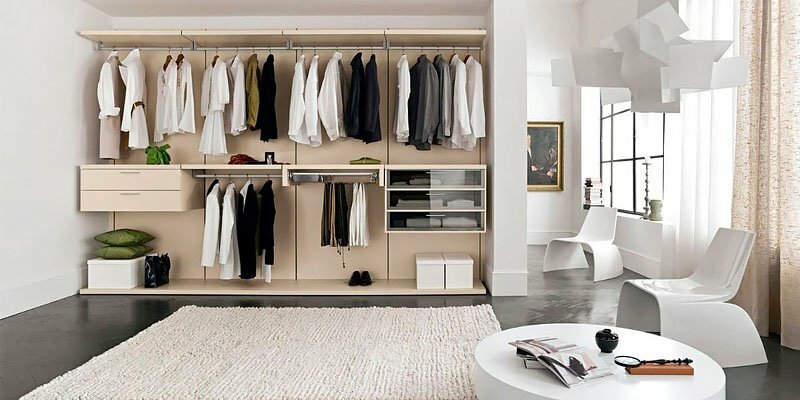 A clear closet can make you feel more relaxed and less stressed in the long run. Of course, before you start selling, donating and giving away all your excess clothes, be sure to do a trial run of your limited wardrobe. See what it feels like to live with less and note whether there are any necessary items you forgot to keep. When culling your closet, remember to be realistic with yourself about your lifestyle and needs. 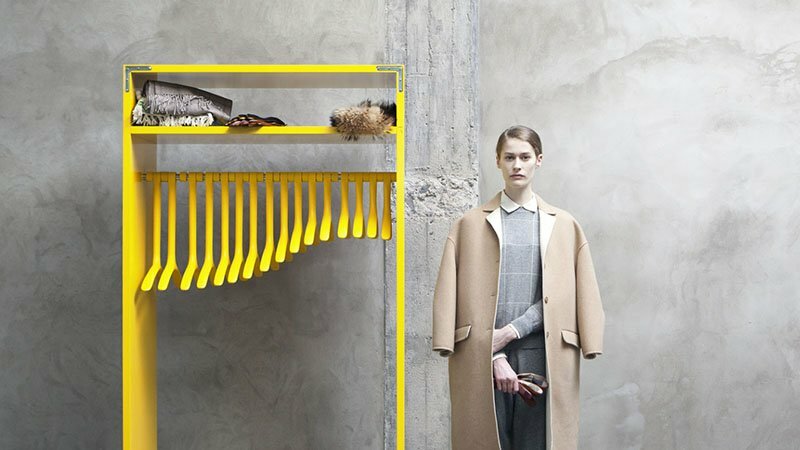 Your wardrobe should be expertly curated to contain only your most wearable and versatile items. So, there’s no point in keeping five cocktail dresses if you prefer to spend your Saturday nights at home. While your capsule wardrobe will ultimately contain a lot of essential items that you can wear year-round, it should be slightly tailored to suit each season. As such, try storing out-of-season items that you don’t need right now but will in the future, such as coats during summer. By doing so, you’ll be able to keep your closet free from clutter while ensuring it meets your needs no matter the weather. You may also want to store a few sentimental garments that you no longer wear but aren’t prepared to part with, such as your wedding dress. Just remember to draw the line somewhere. Not all old clothes deserve precious storage space. Once you’ve spent a short while living with your capsule wardrobe, you may notice you’re missing a few essential items. Perhaps it’s a little black dress or a plain white shirt. Now’s the time to invest in these basics to complete your capsule closet and make it genuinely wearable. To do so, go shopping, but only make intentional purchases that you’ve decided you need. Don’t go overboard or you’ll risk filling your reduced wardrobe back up again. Don’t even invest in basics just for the sake of it. Your capsule wardrobe doesn’t have to be “perfect”, it just has to work for you. Also, remember to seek out top-quality items that’ll last a long time. After all, you’ll want to wear your capsule wardrobe basics for years to come. Doing so may be more expensive in the short-term but will save you plenty of money in the future. It’s also a much more eco-friendly choice than burning through countless low-quality, fast-fashion items. Now that you’ve created your capsule wardrobe, it’s time to challenge yourself. With your closet expertly reduced, you have only the items left in it to wear for the season. Doing so may be difficult if you usually have endless options, but it can also be highly rewarding and really take the stress out of getting dressed each day. If you’re new to the world of capsule dressing, aim to keep your current wardrobe for the three months of the season before reassessing. Once you’re used to your new fashion system, you can try six months and update only when the seasons shift from autumn/winter to spring/summer and vice versa. During each season, try to avoid shopping as much as possible. Instead, wait for the beginning of the next season to buy what you’ll need. Although you don’t have to stick to strict rules, it’s important to be conscious of anything new you add to your wardrobe. Also, be careful to avoid emotional spending, such as shopping for a pick-me-up or celebrating an occasion with a new fashion purchase. It may be tricky to do, but less shopping can equal more joy in your life. 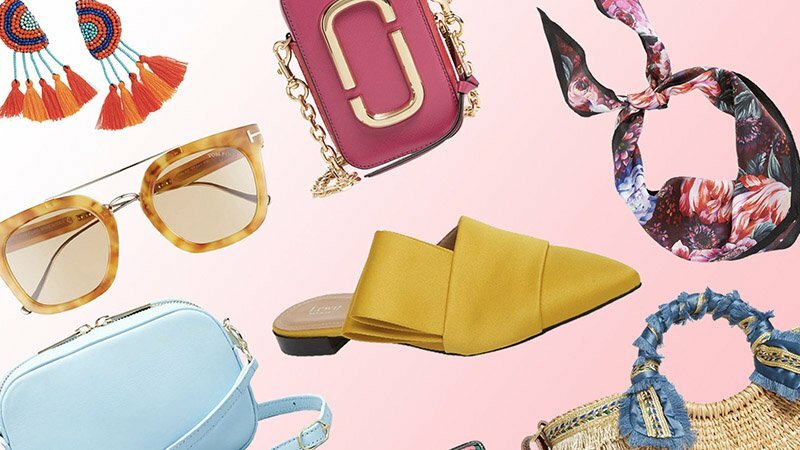 When the new season rolls around, you’ll need to reassess your capsule wardrobe to ensure it’s still wearable and appropriate. The good news is that now you have an excellent foundation for your closet, you’ll easily be able to tweak it to suit the change of weather. So, while you’ll likely want to keep most of your core items, there will be some that you’ll want to swap out. To identify these items, think about what you’ll actually need and wear throughout the new season. Although you might have rocked your strappy kitten heels all summer, carrying them through to your autumn wardrobe may not be ideal. As you reassess your wardrobe, be sure to consider the items you have in storage. After all, it could be time to take out your coat and put away your maxi dress. Also, as you re-edit your closet, take note of any new items you want to add. Buying just a couple of on-trend pieces at the start of each season can ensure your look stays fresh and you remain committed to your capsule closet. However, be careful not to over-buy. Each piece you purchase should add real value to your new season wardrobe. Living with a capsule wardrobe needn’t be dull or boring. Just because someone else’s curated closet features nothing but black garments, it doesn’t mean yours has to. As well as selecting clothes that suit your style, you can also add personality to your outfits with accessories. Although you don’t want to fill your closet with too many options, having a selection of scarves, bags, jewellery and sunglasses can help keep your ensembles exciting. Best of all, throwing a couple of accent accessories on over a minimal outfit is an easy way to appear dressed up without spending hours choosing and coordinating your clothes.